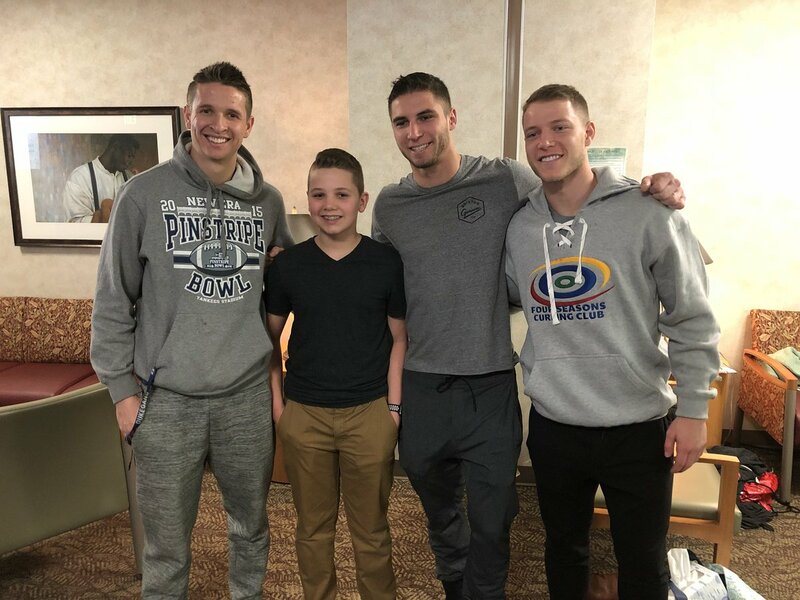 Max McCaffrey is a pro-American football player who plays the position of a wide receiver for the San Francisco 49ers of the National Football League. He signed up with the Oakland Raiders as an undrafted free agent after the 2016 NFL draft. He has been associated with other NFL teams including Green Bay Packers, Jacksonville Jaguars, and New Orleans Saints. Max completed his college career with the Blue Devil football team of Duke University. Learn more about his bio, football career, family and other interesting facts below. The football player was born Maxwell James McCaffrey to American father Ed and his wife Lisa McCaffrey on May 17, 1994. He grew up in Castle Rock, Colorado where he attended Valor Christian High School situated in Highlands Ranch, Colorado. He started playing football while he was in high school. Playing under coach Brent Viselmeyer, Max led Valor Christian High to three consecutive state championships. He got All-State First-team selection, as well as, All-Colorado team from Denver Post. Max was listed as the No. 68 wide receiver in the country by Scout.com. Upon graduation, he enrolled at Duke University where he played college football with the Blue Devils of Duke University from 2012 to 2015. During his college career, Max played 13 games for the Devils in his freshman year, catching two passes for 31 yards and 196 snaps. The following year, he got Academic All-ACC team honors after recording four touchdowns, three punts return for seven yards, and catching 6 passes for 282 yards. As a junior in 2014, Max played 13 games for the Blue Devils, had three touchdowns and 37 receptions for 385 receiving yards. In his senior year, he was named to the Academic All-ACC team for the third time consecutively while recording five touchdowns and 52 receptions for 643 receiving yards in the season. He also represented Duke University at the NFLPA College Bowl held on January 23, 2016. After the NFL draft of 2016, Max McCaffrey signed with the Oakland Raiders as an undrafted free agent. He was released by the Raiders prior to the beginning of the 2016/17 regular season. Max was later signed to the Green Bay Packers Practice Squad in December 2016. He was promoted to the active roster in January 2017; nevertheless, he didn’t get any playing time until the end of the season. He was further released by the Packers on September 2, 2017. The following day, he signed with the New Orleans Saints practice squad and on September 12, he signed with the Jacksonville Jaguars following the absence of Allen Robinson who was injured. Max made his first professional appearance in week 5 of the 2017 season, recording his first catch against the Pittsburgh Steelers. He was waived by the Jaguars later in October 2017. In December 2017, Max got a two-year offer from the San Francisco 49ers. Unfortunately, he experienced a rough rookie season as he never got an opportunity to wear the starting wide receiver’s shirt for the 49ers. During the 2018 preseason, he was placed on injured reserve following a foot injury he sustained. McCaffrey came from a lineage of athletic stars; he was born to American parents Ed and Lisa McCaffrey. He has three younger brothers Christian, Dylan, and Luke MacCaffrey. Their father Edward Thomas McCaffrey played football as a wide receiver for thirteen years. During his professional football career, Ed played for the New York Giants, Denver Broncos, and San Francisco 49ers. He retired in 2003. Max’s younger brother Christian is also a professional football player who plays as a punt return specialist and running back for the Carolina Panthers of the National Football League. He was drafted by the Panthers as the eight overall selection during the NFL draft of 2017. His second younger brother Dylan also plays the position of quarterback for Michigan State University. Also, his youngest brother Luke McCaffrey completed his high school football career as a quarterback at Christian High School, Colorado; while being committed to the University of Nebraska for his college career. Additionally, Max’s uncle Billy McCaffrey played college basketball with the Blue Devils of Duke University; while his grandfather Dave Sime played baseball as an outfielder. His aunt Monica McCaffrey also played college basketball at Georgetown University. Max McCaffrey is a tall and handsome dude; coming from an athletic family his life has always revolved around sports. He has a wonderful physique, all thanks to his efforts at the gym. McCaffrey stands at a height of 6 feet 2 inches and weighs 93 kg (205 lbs). He has a hand size of 8 7/8 inches and an arm-length of 31 5/8 inches. In addition, he has black hair and brown eyes.